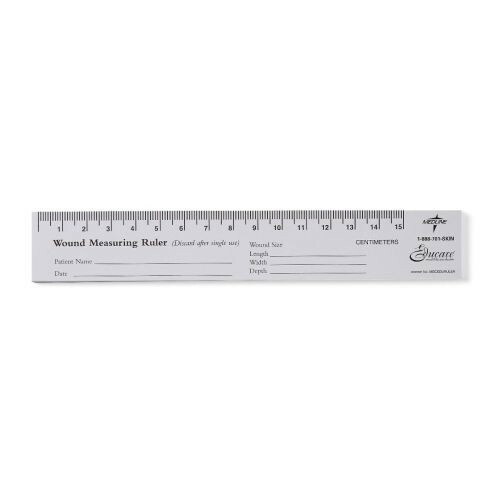 Educare Wound Ruler (Medline MSCEDURULER) uses centimeters and millimeters to measure the size of a patient's wound. It also has spots for you to record patient and wound information ideal for photo documentation. You can record the date, patient's name, wound length, wound width, and wound depth. 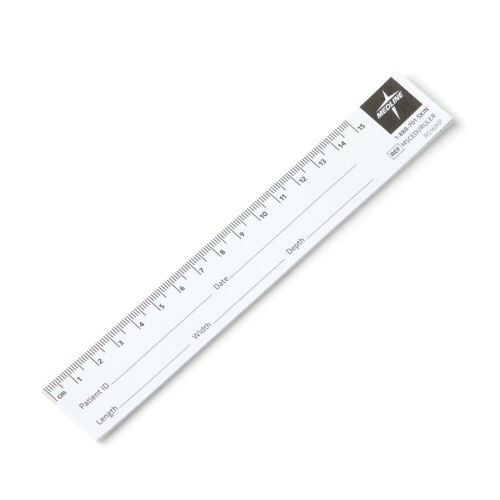 In addition, the ruler is made of paper and disposable. A new ruler should be used with each patient to prevent cross contamination. Using a different ruler with each wound promotes accurate documentation, too.